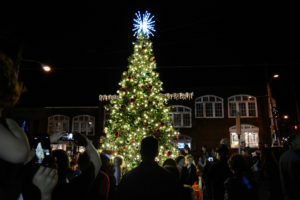 As Orange County gears up for another holiday season, Lauri Paolicelli – executive director with the Chapel Hill/Orange County Visitors Bureau – has quite a few suggestions for locals and visitors alike to get the most out of their seasonal celebrations around town. Covering gifts from shipping Sunrise Biscuit Kitchen biscuits in the mail nationwide to the “best pen selection in the state” (according to WCHL’s own Chela Tu, at least, in her very first “Tu for Two“) you’ll find at Crazy Alan’s Emporium, Paolicelli outlines some of what Orange County has to offer holiday shoppers – along with where to go and what to do with visiting family! Whether you’re more into seeking out murals in downtown Carrboro or taking in the sights of the Hillsborough Riverwalk, Orange County during the holidays has something for everyone!